1) Always point gun in safest possible direction : This rule is most basic one and one cannot ignore it while handling gun . And if this rule is followed 90% chances of accidents can be averted. 2) Guns are always loaded : This basic assumption should always be followed even if you have unloaded it yourself .One never know when and where mistake may happen. 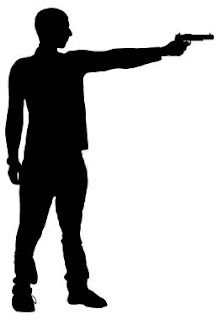 3) Keep your hand off the trigger : Unless you intend to shoot ,do not put your fingers on the trigger.And after firing remove your fingers immediately from trigger. 4) Be sure of your target : Don't fire in the hole unless you are on military/police operation, always be sure of your target before firing. 5)Keep you gun unloaded : In all normal circumstances guns should be kept unloaded . Load it only when you need it .